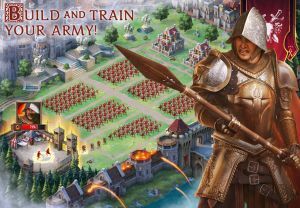 Assemble an army of warriors and battle for supremacy in this free to play MMO strategy game set in the lands of an ancient medieval kingdom where numerous power-hungry armies also battle to claim the throne. The game is available on Android and iOS. Android devices must be at least version of 4.0.3 and iOS 9.0 or later.